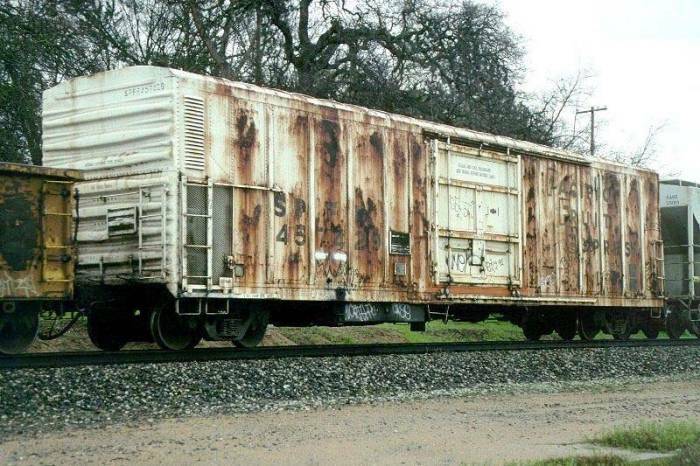 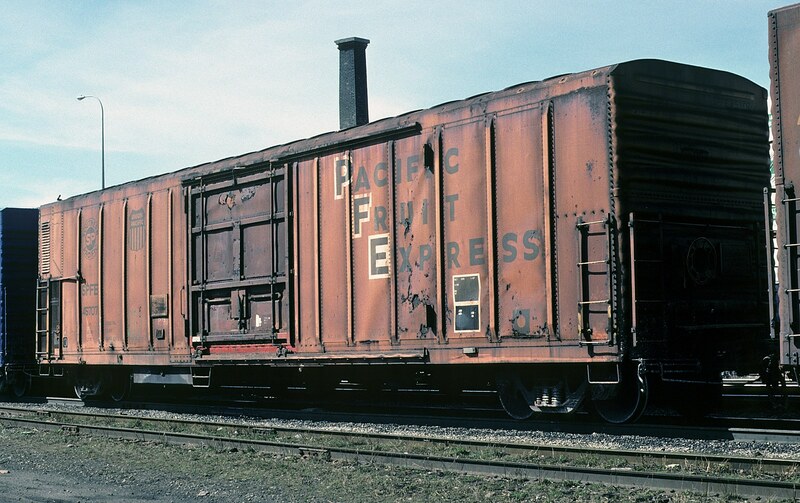 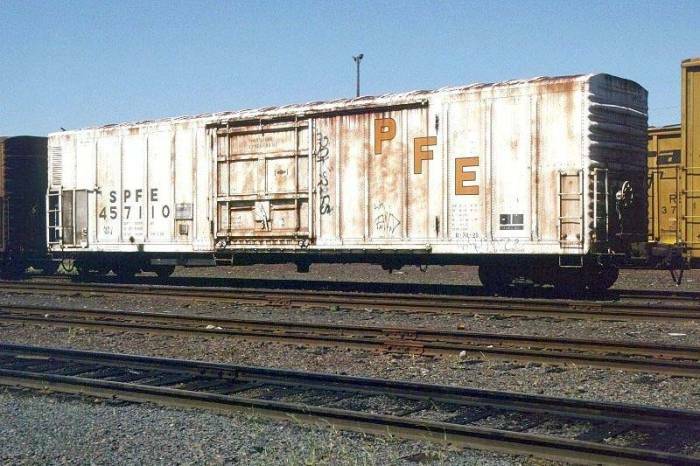 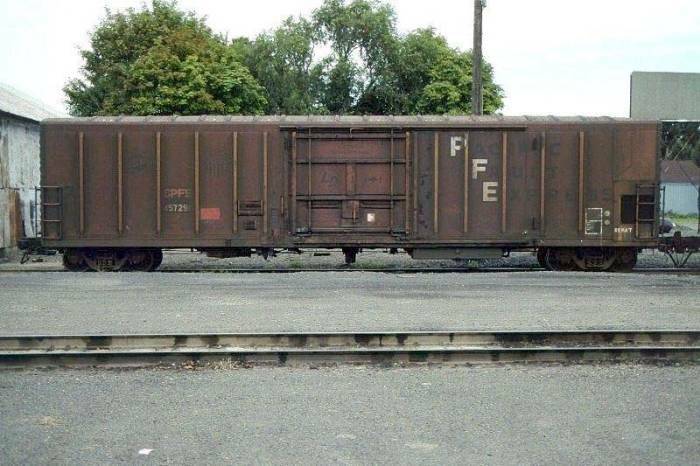 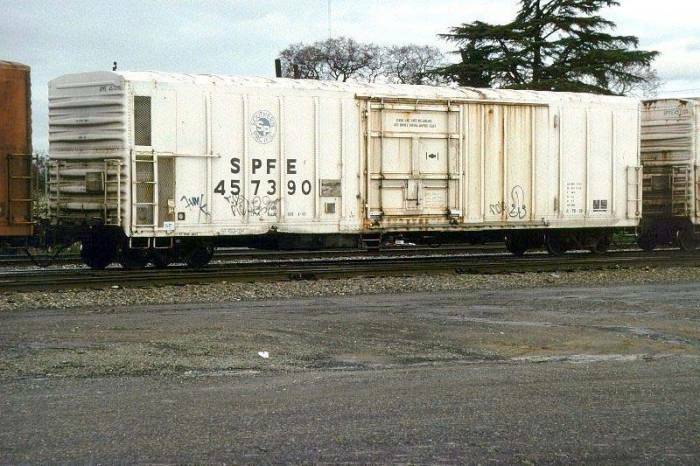 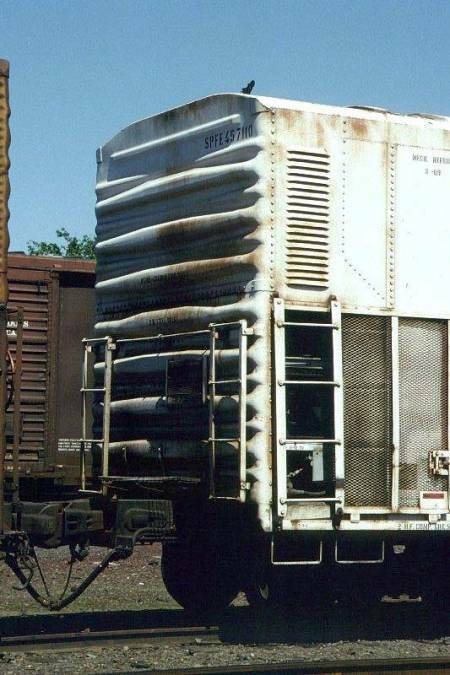 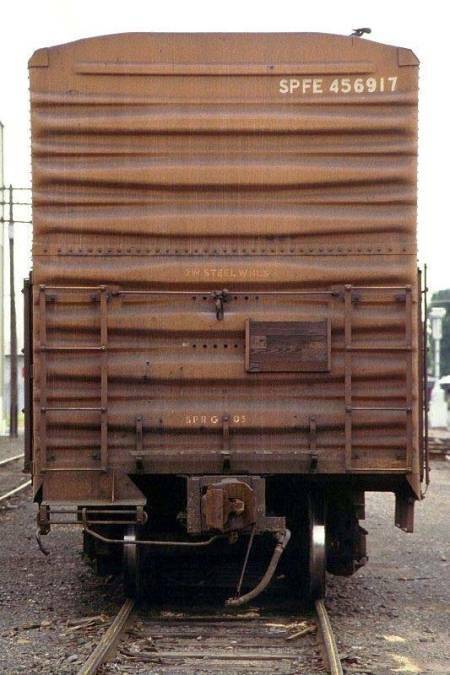 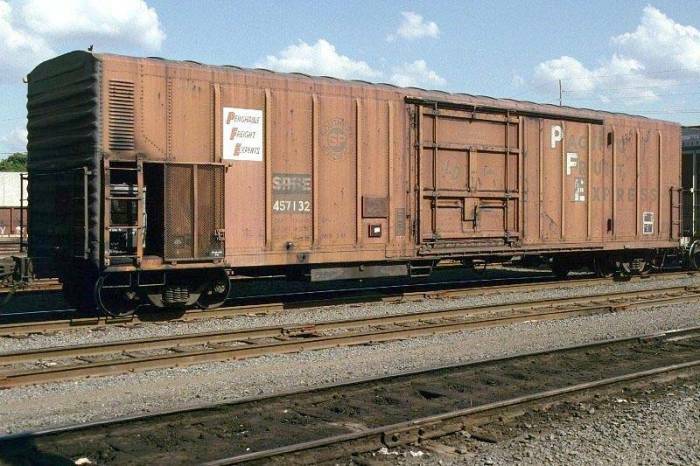 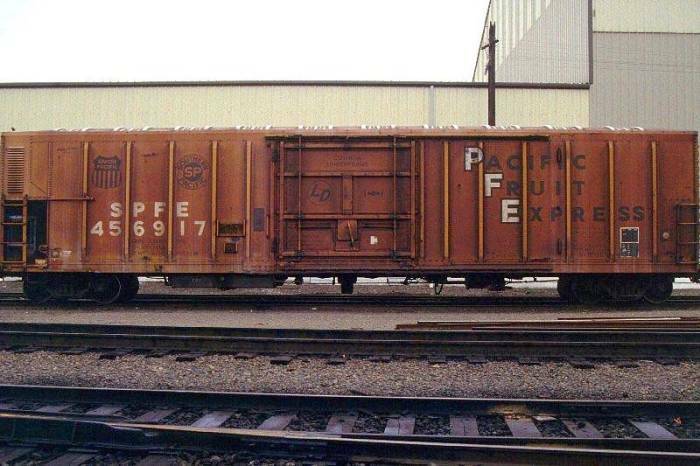 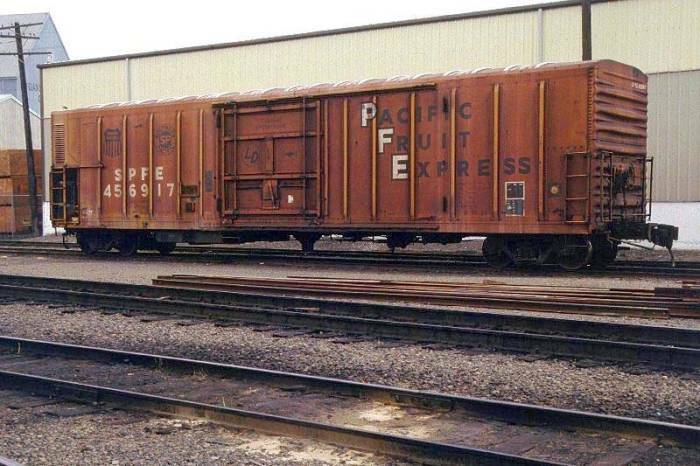 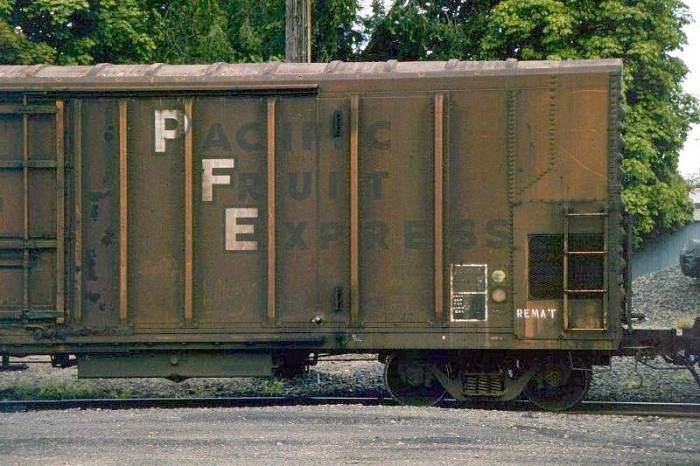 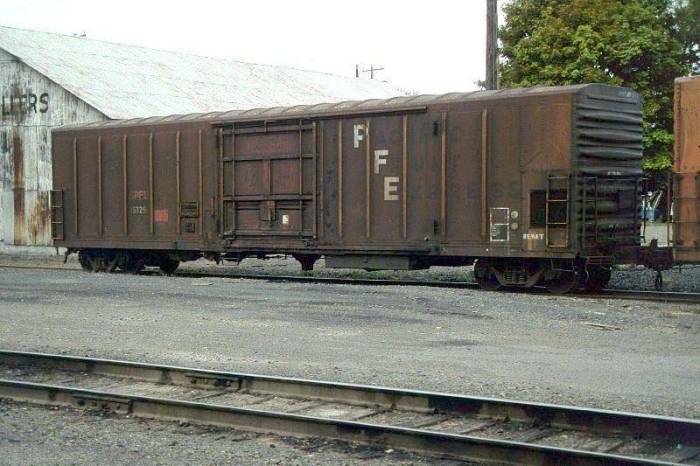 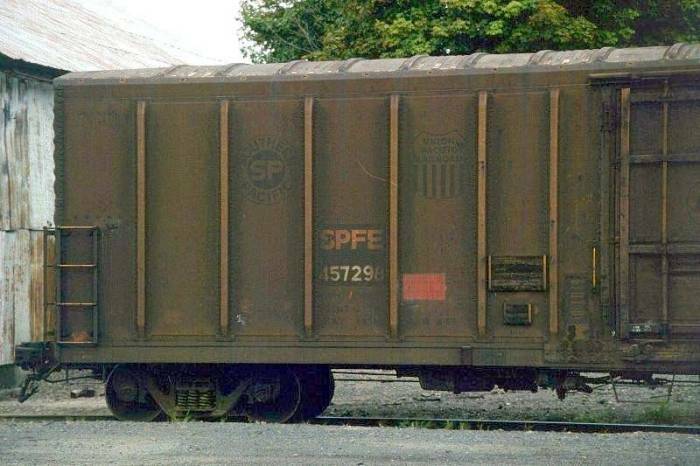 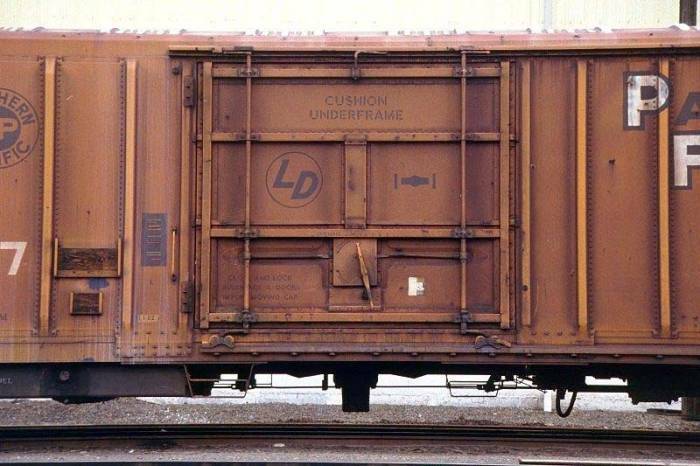 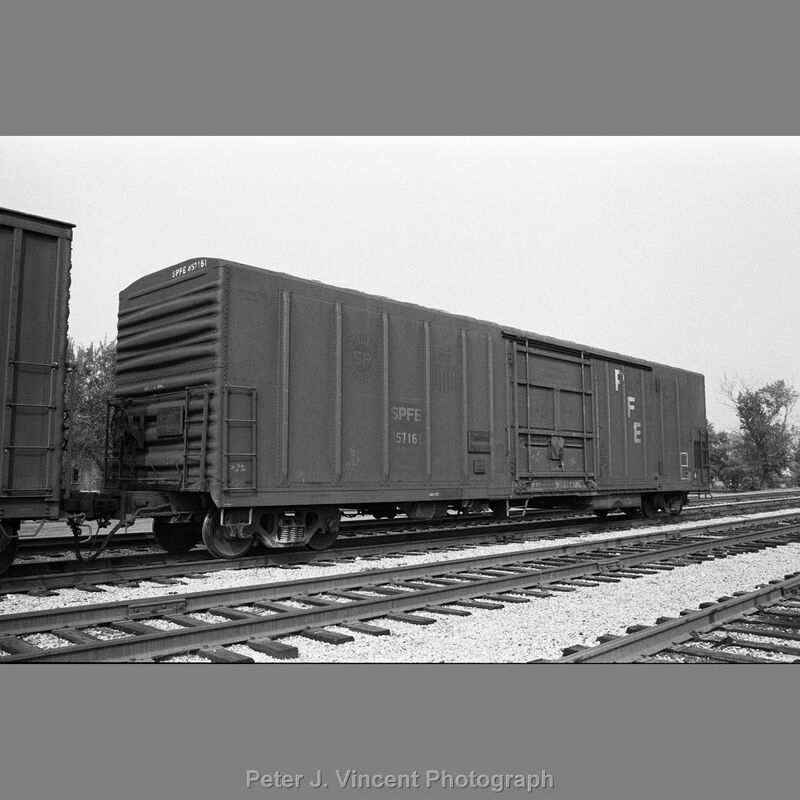 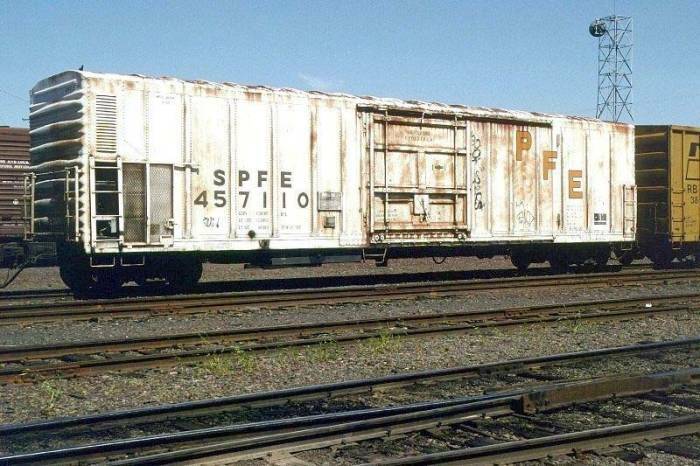 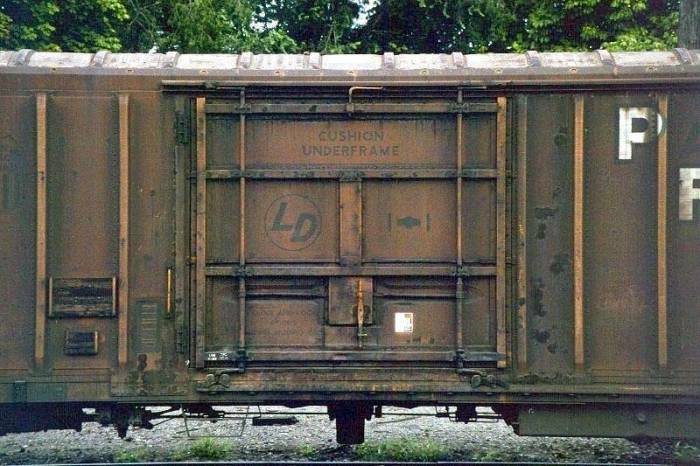 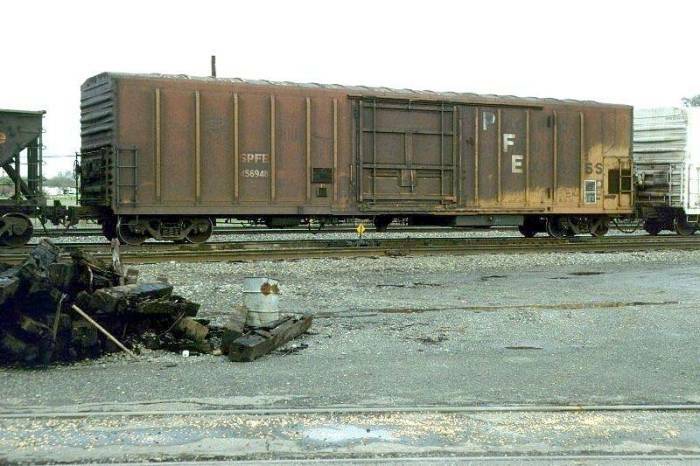 These 50'-10" mechanical refrigerator cars were built by PC&F in 1969-70 and featured 4269 ft3 capacity and a 10'-6" door opening. 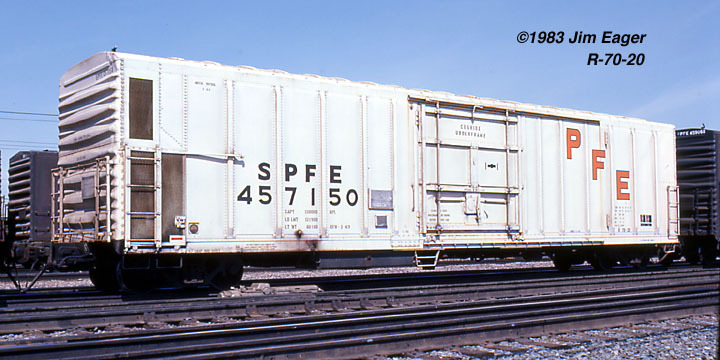 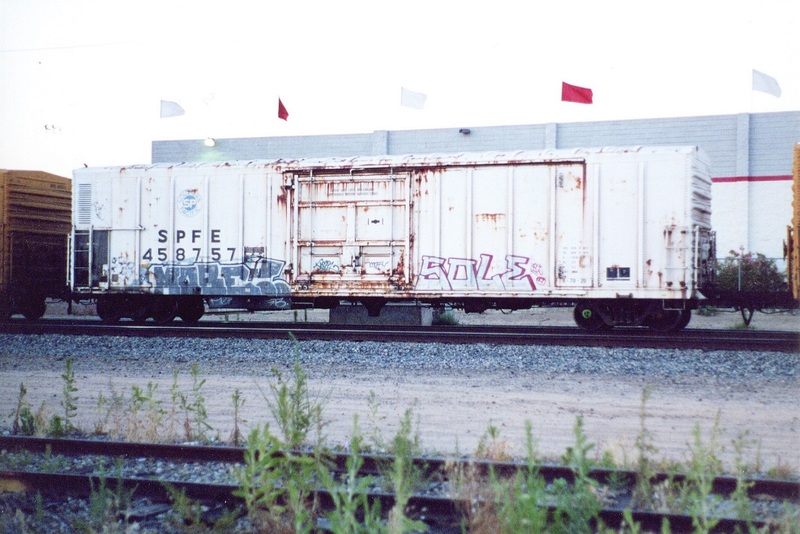 Note that this body style is sometimes referred to as 57', however, the mechanical refrigeration eqipment takes up space on one end of the car thus leaving a nominal 50' usable inside length for loading. 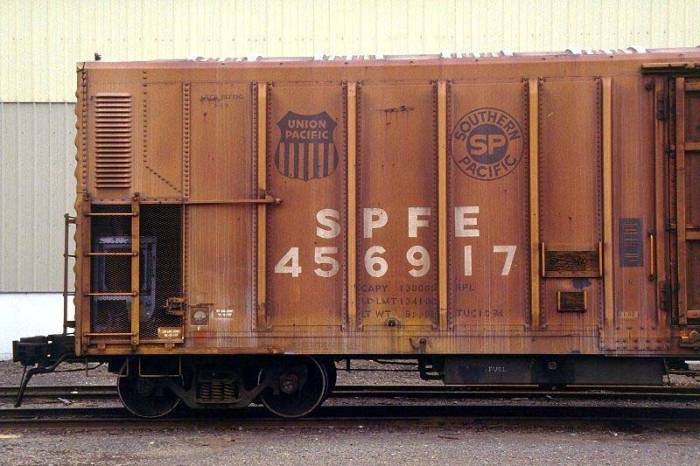 Harry Wong has a good writeup regarding the release of an Intermountain model of this class. 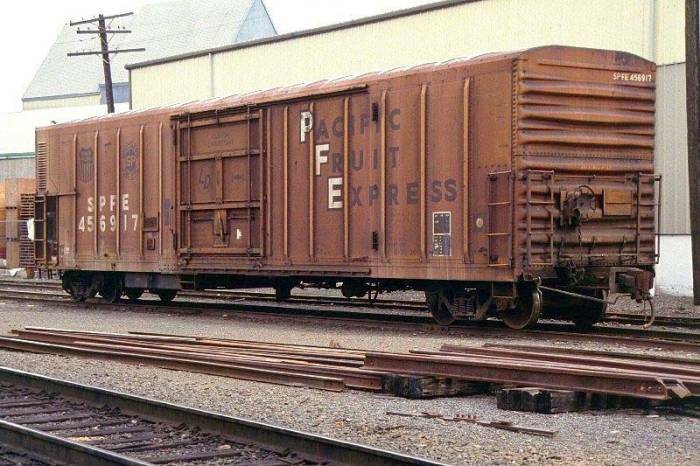 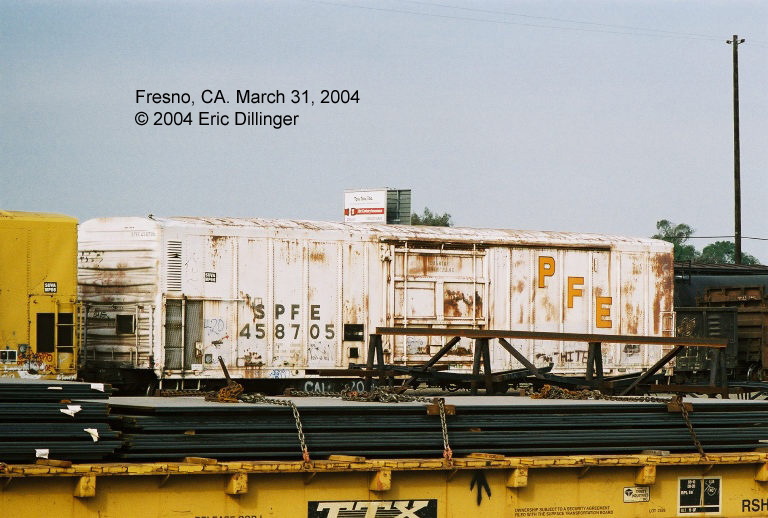 When rebuilt, repainted and remarked as Golden West Service cars, they were mixed with PFE/SPFE class R-70-22 and -24 cars as VCY 25000-25399.